We are delighted to announce the appointment of Barry O’Connell as Chairman of Countryside Alliance Ireland. Barry is from a farming background and resides in rural County Cork. 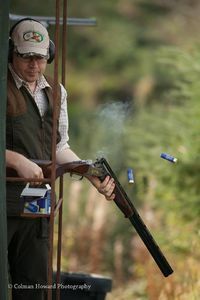 A keen fieldsports enthusiast, Barry is actively involved in hunting, shooting, deer stalking and fishing. Barry has held executive position with Rathcormac Gun Club, Coolnakilla Harriers, the Committee of the Wild Deer Association of Ireland and he has served on the board of Countryside Alliance Ireland since 2013. Educated in engineering, business and marketing. Barry has held management positions in multinational and indigenous companies. Since joining the board of Countryside Alliance 2013, he has made an outstanding contribution in areas of policy and membership growth and he has represented Countryside Alliance both nationally and internationally. We look forward to working with Barry during his tenure as Chairman of our organisation.